The FURminator Soft Slicker Brush is the perfect tool to groom pets with silky, wiry coats. This professional grooming tool is made with a flexible head that separates in the center to enhance the brush's reach and to ensure that the grooming experience is comfortable for your cat or dog. The brush also features a textured, ergonomic handle to ensure that you have a secure and comfortable grip while using it. 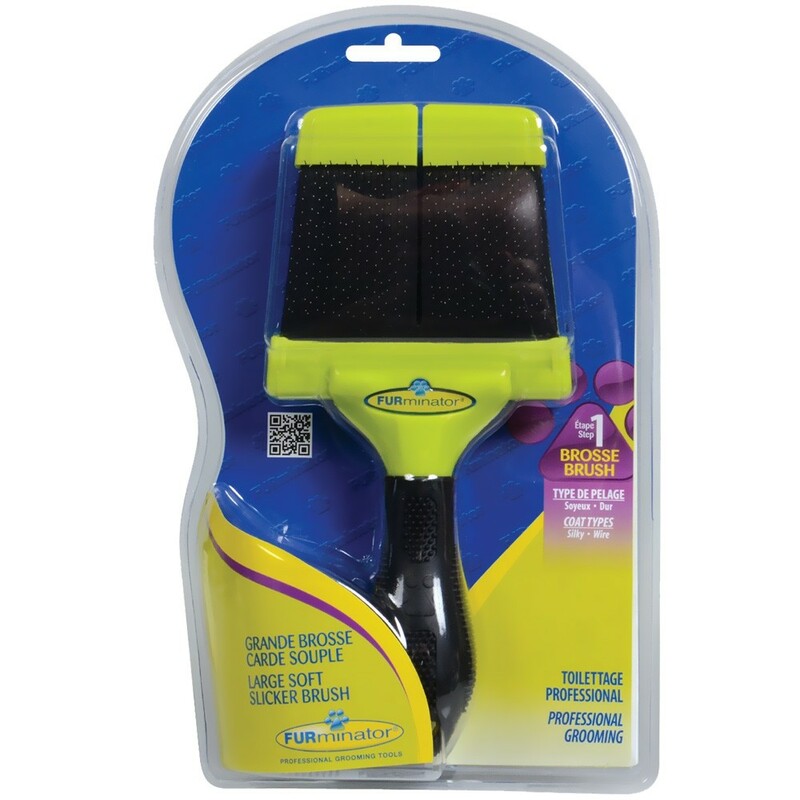 The FURminator Soft Slicker Brush features two sides, one with curved pins to remove your pet's undercoat and the other with straight pins to smooth the coat and bring out a lustrous sheen; both of the sides can be covered with included plastic covers to keep the brushes in pristine quality. This brush is a small size that is ideal for cats and smaller dogs, but it is also available in a larger size for larger pets. Keep your pet's coat shiny and neat with this quality, two-sided slicker brush today! Brush Dimensions: 8" x 1?" x 2?". Package Dimensions: 9¾" x 4¼" x 3".